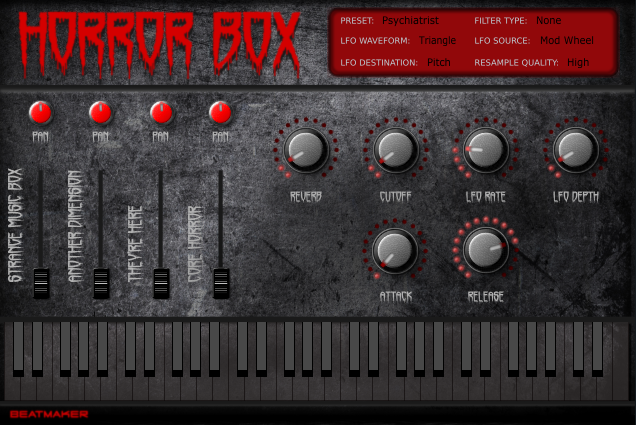 Horror Box is a Free Rompler Plugin to create terrifying sound passages. Combine the nine presets included with the four layers to get new and spectral sounds. Download size: 70 MB – Unzipped size: 108 MB. Des weiteren gibt es einige Samplepacks, wie z.B. Kann man ja alles auch außerhalb der Saison mal gut gebrauchen.